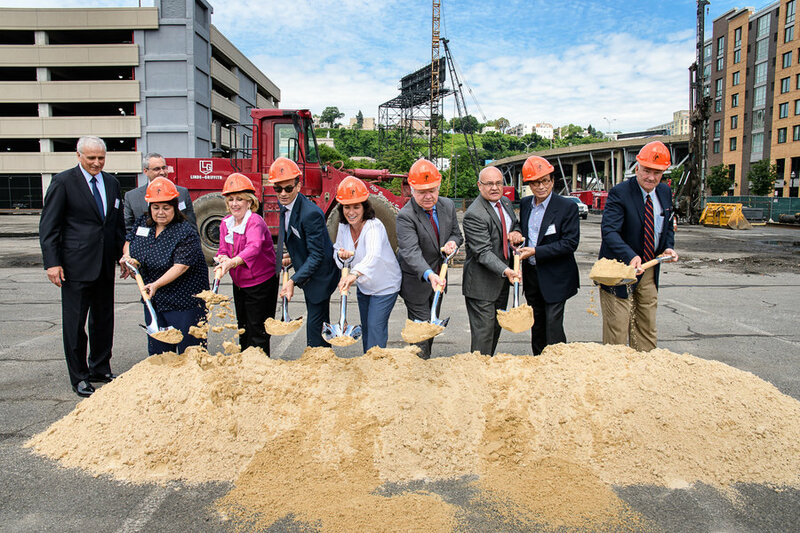 WEEHAWKEN — Real estate company Hartz Mountain Industries broke ground on a new Whole Foods Market 365 store within their Lincoln Harbor mixed used-development this week. Weehawken Mayor Richard Turner was also present for the event. On track to open in Fall 2018, the store will be 32,949 square feet, providing fresh, organic foods at lower prices than regular Whole Foods stores. “Whole Foods Market 365 will be a great addition to the entire community and will benefit all Weehawken Township residents,” Turner said. Located on the Weehawken waterfront, the store site is directly across from the Lincoln Harbor Light Rail station. NY Waterway ferry service to Manhattan is also nearby.